The sudden alarm shattered the peaceful morning drive like a stray bullet. 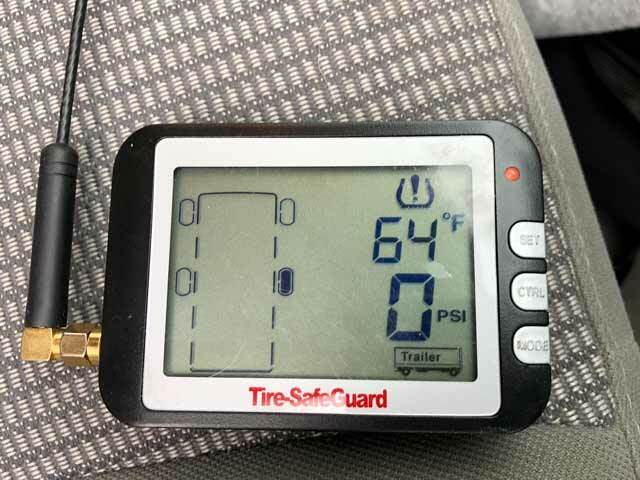 I grabbed the tire pressure monitor while Jim white-knuckled the steering wheel and slowly pulled over. The display screen said it all. 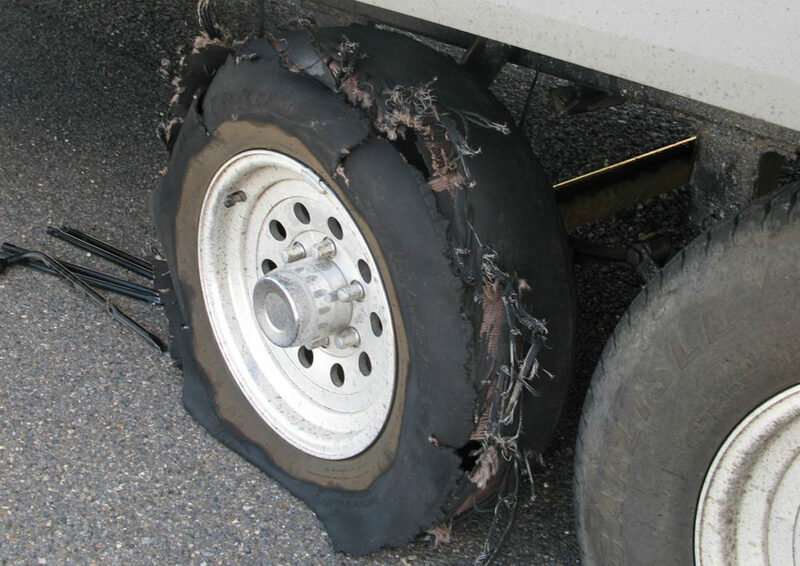 “Right rear trailer tire: 0 PSI!” In that split second we had a choice: panic, or remain calm. The first would be easy, the latter a challenge. 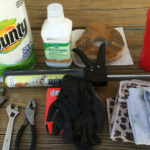 But we’ve discovered that even in the worst of circumstances, the best tool for any roadside RV emergency can always be found deep within ourselves. The pot-holed stretch of the Alaska Highway is notorious for eating RVs. On that day, it was our turn. The right leaf spring on our fifth wheel had snapped, punctured a tire, ripped the shock absorber off and slashed our hydraulic brake line. Stranded on a narrow shoulder in a remote spot with no cell service, the damage was sickening, scary and so severe that our trailer would need a six-hour tow back to civilization. But as we teetered on the brink of an emotional meltdown, we clung to the ace up our sleeve that would get us through the ordeal: the ability to pick our reaction to the situation. We had no control over what just happened, but we could control how we reacted to it. In the moments that followed, we understood exactly what Frankl meant. We could yell, scream and take our anger out on each other, which would only make the situation worse. Or, we could pause in that space between stimuli and response and reach inward for a solution. 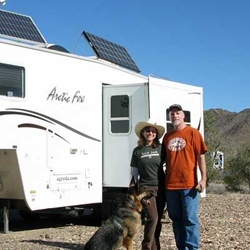 Most RVers will experience a similar challenge at some point. 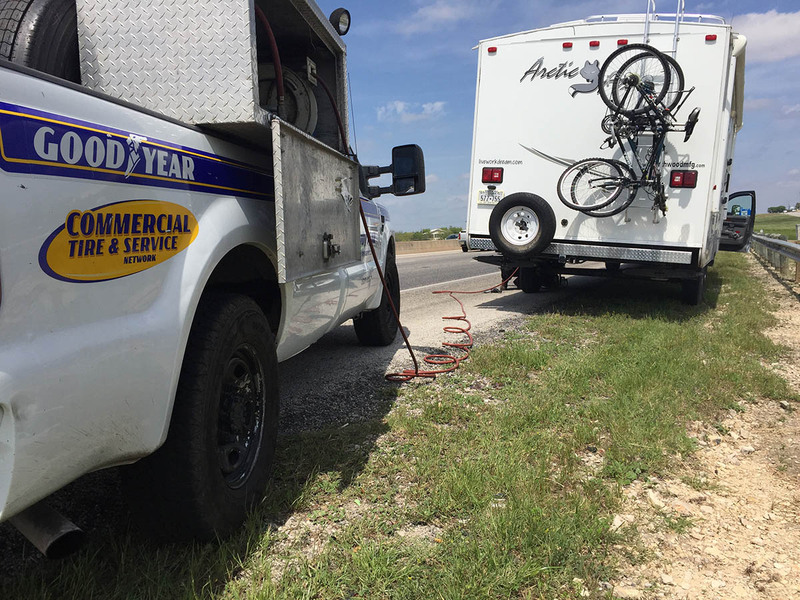 Carrying good RV roadside assistance coverage is critical, but maintaining a healthy mindset is the best tool for any roadside RV emergency. 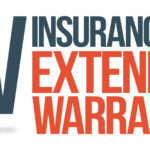 Here’s how you can access yours on demand. Ask yourself: Is anyone hurt or bleeding? Is anything on fire? Are you in harm’s way? If you can answer “No” to these questions, you’re doing pretty good. Celebrate that! Next, Accept that the Situation is the Boss. No matter how bad things appear at the moment, accept that you cannot change what already happened. Immediate acknowledgment will quickly move you toward a solution. Acceptance helps you calmly step into the center of stimulus and response in order to choose beneficial behavior. But if you’re like me and easily overwhelmed in stressful situations, you may need more encouragement to get there. Forced laughter may be what it takes. Laughter helps you to step back from the situation and feel more in control. It isn’t about making fun of a terrible situation, but rather to help you increase production of feel-good endorphins and decrease cortisol, the stress hormone raging through your body in an emergency. Think it’s a bunch of hooey? The science behind laughter as medicine has been well-documented since the 1970s. Ask anyone who participates in the worldwide Laughter Yoga movement and they’ll tell you: laughter is beneficial even when there is nothing particularly funny to laugh about. Getting stranded with a 15,000-pound home perilously perched on a deserted highway shoulder is never funny. But forcing laughter can help you get through it with your sanity and relationships unscathed. The important thing to remember is, don’t wait for an emergency to give laughter a try. Practice intentional laughter regularly and you’ll see that whatever the circumstances, laughing on purpose is a great tool to lighten the load. I’m so proud of you guys. Well, first I’m relieved you are safe and have gracefully handled this unexpected and understandably scary challenge. Then I’m proud to see you sharing how you chose to laugh as a form of self care that lowered your stress and strengthened your resilience. That’s as practical as using the oxygen mask in an emergency airplane landing, and not such a bizarre comparison since both help you breathe. Fortunately, that laughter is always inside each of us, factory installed from birth before we even learn to speak a language or have the capacity to understand what is funny. It can be even easier to access when we “allow” it rather than force it, which becomes natural by developing a daily practice of intentional and unconditional laughter. Thanks for pointing to the Daily Laughers Facebook group as a resource for support! Laughter is great or a pill lol but you dhdnt day how you got help out there. Did you rely on a passing car that actually stopped or did you have a device that actually let you search the skies forca signal to get someone to send help. Alaska is a good example of no service meaning no access to call for help. Siri doesn’t work without a cell tower. What did you do? A Gps tracker or walkie talkie might get you 20 mi but I’ve been further than away from any exit and you don’t know who’s answering your distress call. I see you had a truck to disconnect but I don’t use a toad. May get one after all but in the meantime what do we do? Dave and Teresa, thanks for commenting. First, Dave, we owe it all to you. When you told us about LY we thought you were insane. But if this is “insanity” then we’ll take it, because LY works! Teresa, we detached our truck, left the rig by the side of the highway (with almost zero shoulder) and drove into town to call for help. Pretty sickening feeling to leave your rig in such a deserted place. Without a toad we would have been hosed. However, if we needed to stick our thumb out and get a ride, we would have. 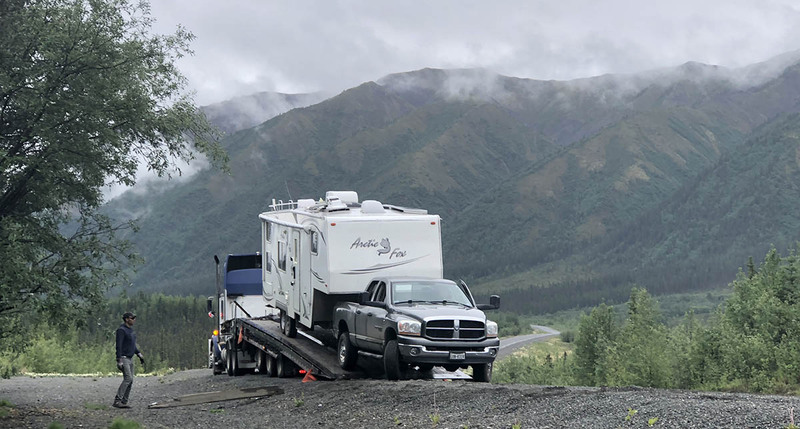 There were people who stopped and asked if we needed help (almost all of them were other RVers), and if we did we wouldn’t have hesitated to take them up on it. In the North Country, everyone seems to look out for one another because it’s so remote. In Alaska some people rent satellite phones, others have devices like the InReach by Garmin, which send a text via satellite to your friends/family in the event of a distress. It’s a paid subscription service. It’s nice to know that people are trying to innovate how roadside assistance works! Here in the Philippines, we have a similar service that offers 24/7 roadside assistance which includes battery and tire change, towing and even an on-call mechanic! It’s good that companies are utilizing the advancement of technology to very useful services like this.